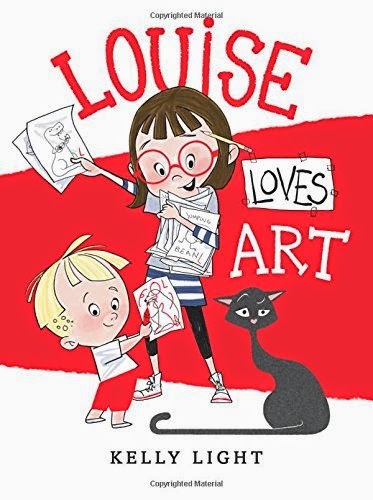 This is an adorable book about a quirky little girl who loves all things art. She loves drawing and gets so caught up in her creating process that she fails to see that her little brother is following her lead until he seemingly ruins her favorite drawing. Upon further inspection she establishes that he just wants to be just like her and all is well. We loved this book. The illustrations are adorable. We loved Louise and her spirit and that black cat! Well, for us...it was the star of the book. Great book for siblings. Disclaimer: No monetary compensation was offered to host this giveaway. I received a complimentary copy of the book. Yes, I give books and love to receive them! I always give books for Christmas! Best gift! I love getting and giving books for Christmas. oh yes i got the new stephen king book for christmas i love it and i give tons of books, way better than too many useless toys. I always give books to at least a few people.